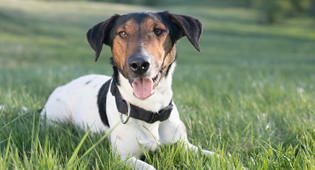 The Vet Centre Marlborough- the only accredited vet clinic in Blenheim. 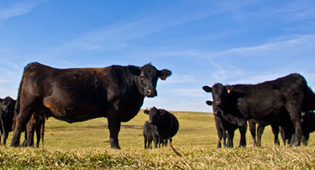 Livestock & Farm Services team specialising in farm and equine work. When your livelihood depends on the good health of your animals you need superior veterinary services and products on hand at all times. 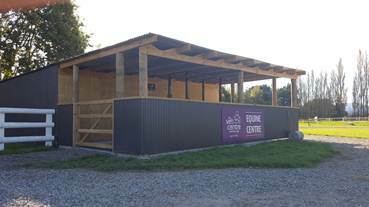 Purpose built equine stocks located just a short distance from the Blenheim CBD. D.I.Y. 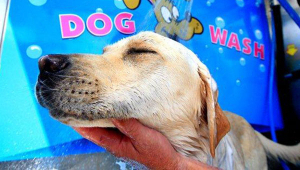 Dogwash now available at The Vet Centre Marlborough - A professional 'do it yourself' system that washes, applies shampoo, conditioner, flea shampoo and blow dries the dog in 10 minutes! Marlborough's only BEST PRACTICE accredited Clinic built to meet the rigorous standards defined by the BESTPRACTICE® Comittee of the NZVA. This provides assurance of veterinary standard of care & responsibility for you, your pets and your livestock. Livestock & Farm Services team specialising in farm and equine work for when your livelihood depends on the good health of your animals. Highly skilled team of qualified vets and nurses with a committment to keeping your pets and livestock healthy using the latest veterinary procedures and technology. Available 7 days a week, 24 hours a day at an easy to find location, centrally located in Blenheim with plenty of off-street parking. “We, here at Bunny Haven, have had a relationship with The Vet Centre Marlborough, since 2010 and have found that the staff at the front, the vet nurses and Vets are all extremely helpful and very caring. We have every confidence in all staff at the facility. Service is second to none and the caring carries on after the treatment with phone calls to get updates on the progress of our animals once home. We feel that we can discuss all aspects of our pet’s treatment, and all is explained in a language which we can understand. Nothing seems to be too much trouble for them. In the past we have had pets that should not have survived and the staff at The Vet Centre has always done a great job for them and they are still with us. We owe them all a big Thank You.